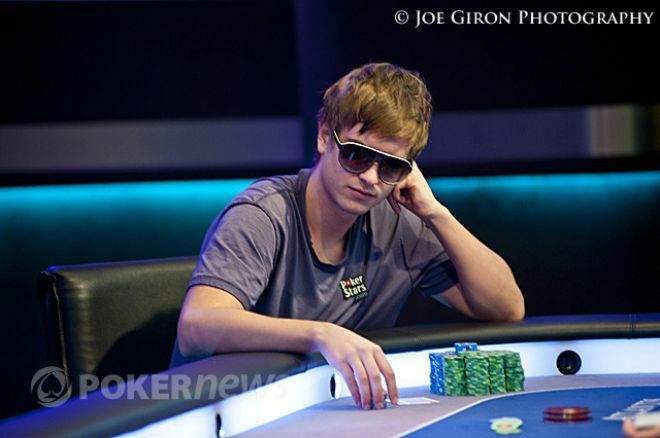 In December 2010, Viktor “Isildur1” Blom kicked off the PokerStars’ SuperStar Showdown by facing off against Isaac “philivey2694” Haxton. In that match, Blom lost $41,701. In mid-March of this year, the two had a rematch that saw Blom lose once again, this time only $5,093. On Saturday, the two participated in a special third engagement — a $1 million winner-take-all SuperStar Showdown. The announcement was made last week, and because of the timing, many believed it was a simple April Fools' joke. Those concerns were dispelled on Saturday, March 31, when Blom and Haxton both sat down with $500,000. The format was a little different than in traditional SuperStar Showdowns in that they would play four tables of $200/400 no-limit hold'em for four hours a day until someone held the entire $1 million on the table. There was no hand limit, meaning the match would go on as long as needed. In the end, it took three days, 5,030 hands and 12 hours of play to determine a winner. On Saturday, Blom got off to a great start, claiming $198,438 of Haxton’s bankroll in 1,901 hands. In one pot, Blom ($58,128) opened for $1,200 on the button, Haxton ($66,216) called, and the flop fell , which both players checked. When the peeled off on the turn, Haxton led out for $1,584, Blom raised to $7,152, Haxton three-bet to $19,000, Blom moved all in for $56,928 and Haxton gave up on the hand, giving the $40,400 pot to the Swede. In another pot without a showdown, Blom ($80,000) opened for $1,200 and Haxton ($158,496) raised to $4,520. After Blom called, the flop came down and Haxton fired out $6,780. Blom responded by raising to $18,400, Haxton called, and the was put out on the turn. Haxton proceeded to check-call a bet of $26,400 before check-folding to Blom’s $30,680 all-in bet on the river and Blom raked in the pot worth $98,000. The Swede was primed to finish the four-hour session a $227,216 winner, but Haxton managed to take down the last hand. It happened when he opened for $800 and Blom three-bet to $3,200. Haxton called, the flop came down , and Blom checked. Haxton took the opportunity to bet $4,224, Blom called, and the peeled off on the turn. Again Blom check-called a bet, this time $9,799, and the was put out on the river. Blom took the initiative and moved all in, but Haxton made a quick call. Blom revealed for a missed flush, while Haxton turned over for top set and the $88,100 pot. On Sunday, Blom began the match with a $198,438 head start, which he extended by another $127,000 before Haxton fought back, getting as close as $30,000 from even. Unfortunately for the latter, Blom kicked things into high gear and by the end of the second four-hour session, he had pulled out to a $281,365 lead, leaving Haxton with $218,635 headed into the third day. Hand #1: In the biggest pot of the day, Blom ($84,848) opened for $1,200 from the button and Haxton ($125,912) three-bet to $4,800. Blom not only made that call, but he also called a bet of $7,200 on the flop, leading to the turn. Again Haxton led out, this time for $19,200, and Blom called. When the peeled off on the river, Haxton moved all in and Blom wasted little time in calling off for $53,648, creating a pot worth $169,696. Haxton rolled over for a pair of kings, but it was no good against Blom’s two pair. Hand #2: Blom ($74,098) was on the button and opened for $1,200, which Haxton ($82,856) three-bet to $4,800. Blom made the call and then bet $5,200 after Haxton checked the flop. When the turned, Haxton checked, Blom bet $14,600, Haxton moved all in for $82,856 and Blom called off his remaining $49,498. Blom had turned top pair, but was trailing the two pair of his opponent. The river changed nothing, and Haxton took down the $148,196 pot. Hand #3: Haxton ($73,968) raised to $800 on the button, Blom ($119,520) three-bet $3,200, Haxton called, and the flop fell . Blom led out for $4,000, Haxton called, and the appeared on the turn. This time Blom checked, allowing Haxton to bet $10,800. Not to be outdone, Blom moved all in for $112,320 but didn’t intimidate Haxton, who called off the $55,968 he had behind. Blom had flopped top pair with a good kicker but was still behind Haxton's pocket aces. The river was no help to Blom, though it did improve Haxton to a wheel, good for the $147,936 pot. On what would be the third and final day, Blom got off to a quick start and whittled Haxton’s remaining $218,000 down to just $16,000! It seemed the outcome was a forgone conclusion, but then Haxton began to battle back, bringing his stack all the way up to $160,000. Unfortunately, that’s as high as he’d get because momentum swung back in Blom’s favor, and on the 5,030th hand, he vanquished his opponent. Hand #1: Haxton ($53,232) opened for $800, Blom ($110,381) three-bet to $3,200, Haxton called and the flop ran out . Blom proceeded to check-call a bet of $4,000, and then check-called another bet, this time $12,000, when the appeared on the turn. That led to the on the river, which saw Blom check-call Haxton’s all-in bet of $34,032. The latter showed , but it was no good against the former’s , for a rivered two pair, and the $106,464 pot was sent to Blom. Hand #2: Haxton ($56,144) was on the button and opened for the standard $800. As usual, Blom ($41,200) came in with a three-bet, making it $3,200 to go, which Haxton called, bringing about the flop. Blom was first to act and took a stab at the pot for $4,000, but Haxton paid the price to see the turn. This time Blom check and gave Haxton the opportunity to bet $9,800. The Swede refused to give up on the hand and opted to move all in for $34,000, which Haxton called. After the was put out on the river, Blom rolled over for top pair and top kicker; consequently, his hand was good when the money went in (though we’re sure that was no consolation), but Haxton revealed for a rivered flush to steal the $82,400 pot. Hand #3: In what would be the last hand of the $1 Million SuperStar Showdown, Blom ($209,945) opened for $800, Haxton ($9,848) called, and the flop fell . At that point, Haxton check-called a bet of $800 and then check-called a bet of $2,000 on the turn. The river saw Haxton check-call off his remaining $6,248, holding , but it was second best to Blom’s . Follow PokerNews on Twitter and like us on Facebook to stay up-to-date with all of the latest poker news from around the world.